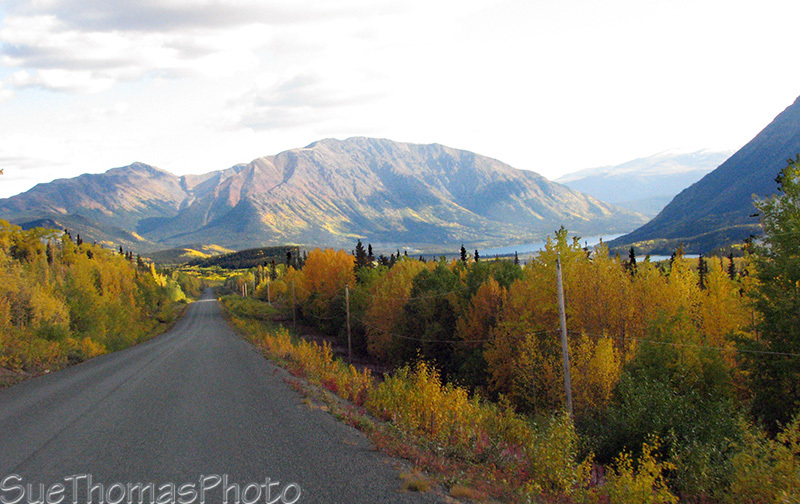 See south end of the Cassiar Highway for pictures south of Kinaskan Lake. 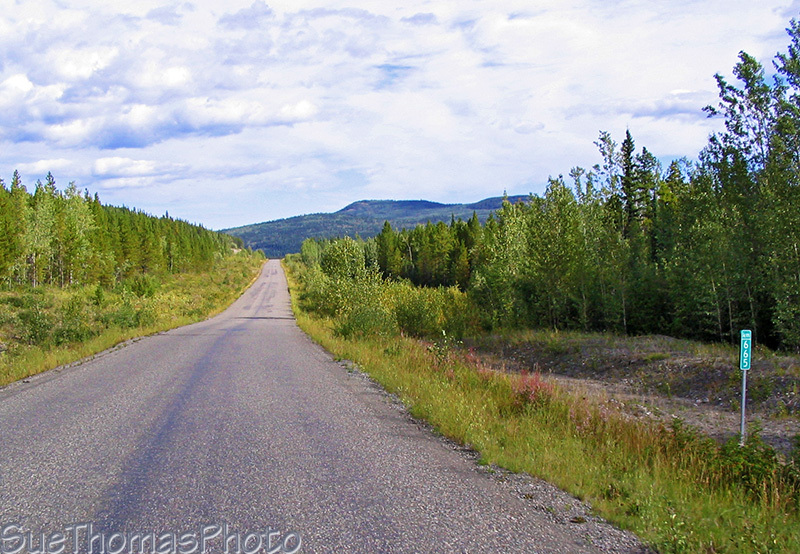 The south end page also includes links for additional info about the Cassiar Hwy. 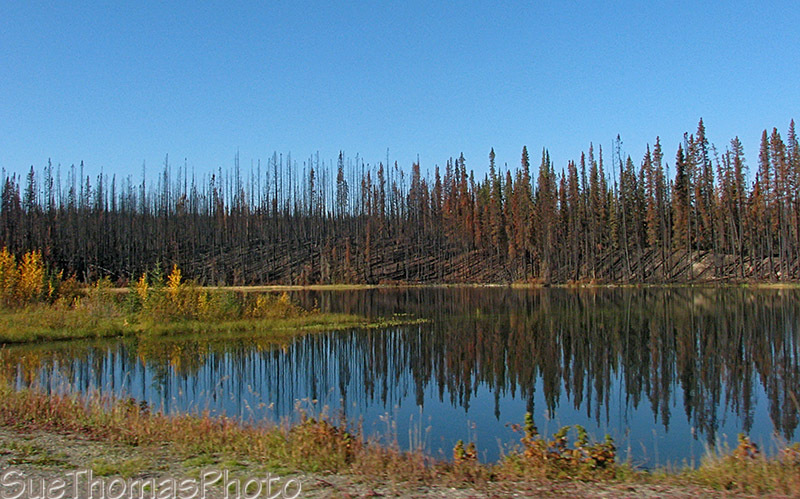 The paint lines once ended near Kinaskan Lake. In 2010 there were more improvements to this route and the paint lines now carry on much further northward. 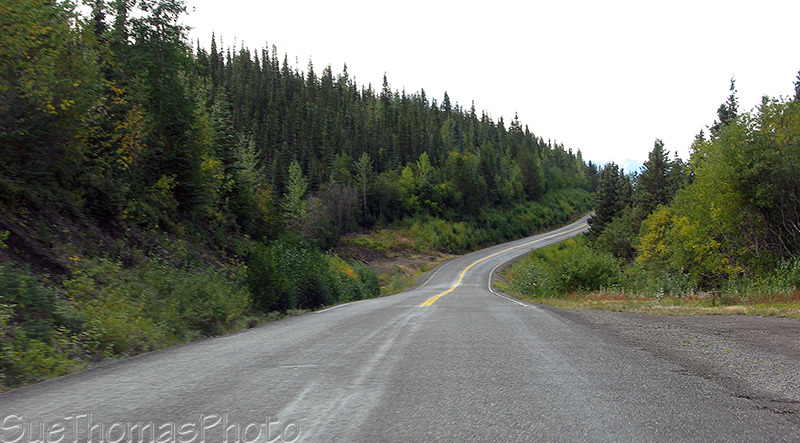 The Cassiar Hwy continues northward with 2 lanes of asphalt with minimal shoulders. In some spots the asphalt is rough. 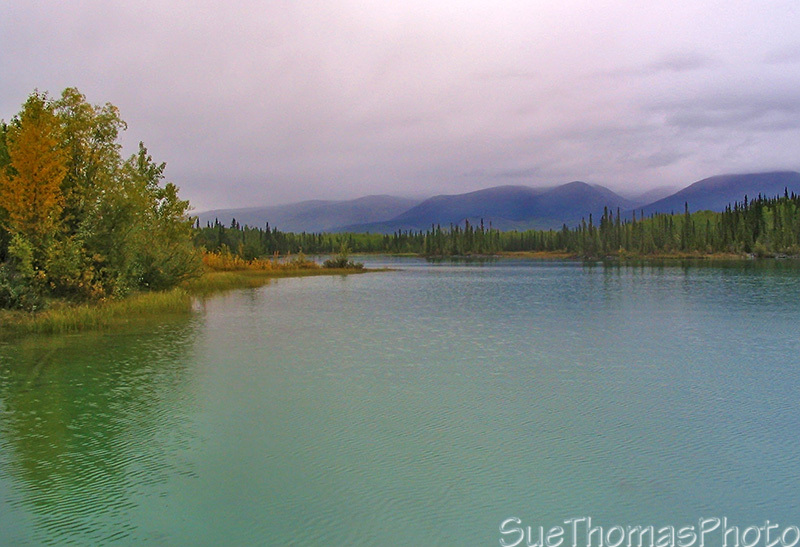 Some folks express concern regarding the roughness and narrowness of the north end of the Cassiar. It is not uncommon to hear tall tales of the horror of the highway. We think it is fine. We meander along this route at an easy pace. 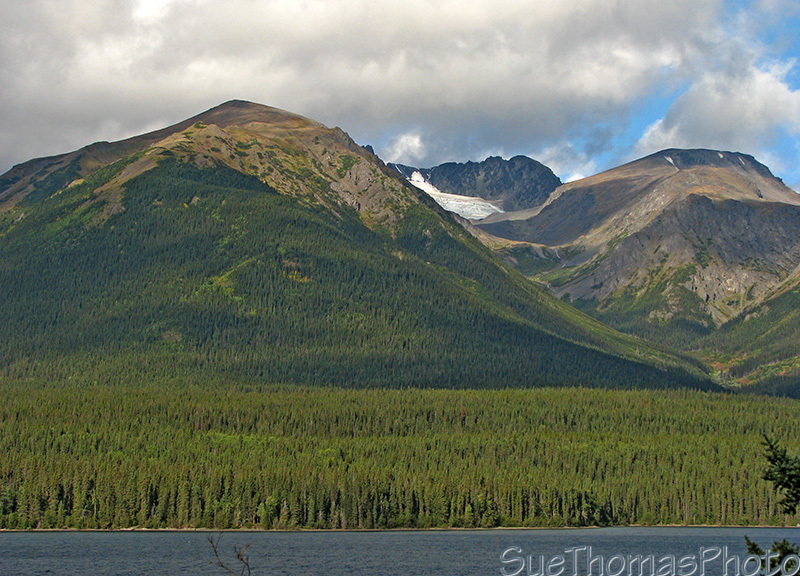 North of Iskut but south of the Stikine River is the Morchuea Lake Recreation Site. There is a stunning view of Mt. Edziza, within the Mount Edziza Provincial Park. Spotting wildlife often requires a roaming eye. Movement in a distant marsh area caught my eye. 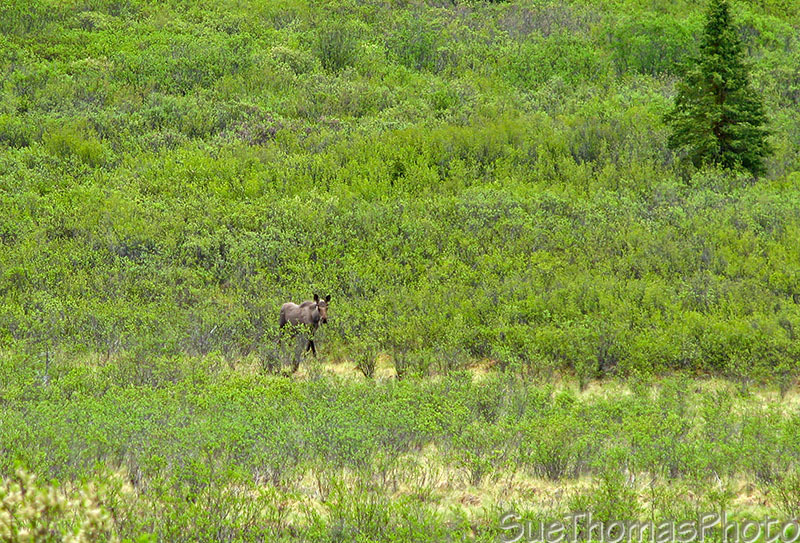 The reward was some nice pictures of this cow moose, even though she was far away. 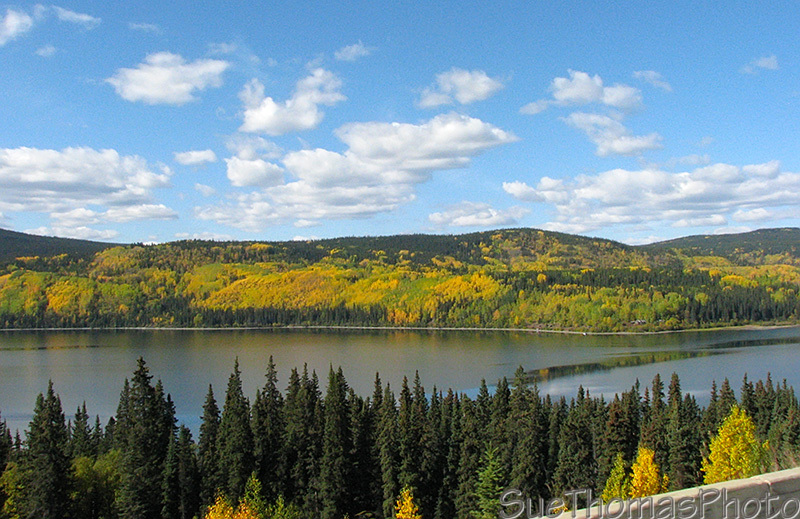 Dease Lake is a good spot for replenishing fuel and groceries. If the timing is right we purchase a hot lunch at the deli to enjoy in the fifth wheel. 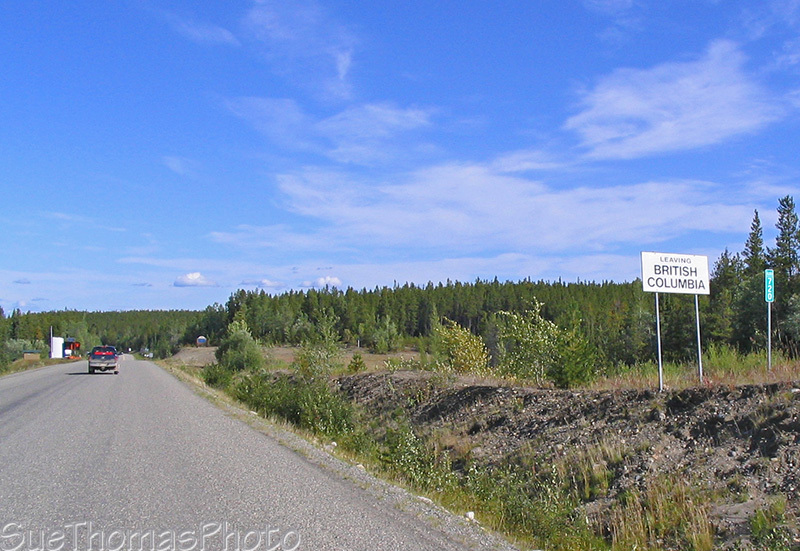 The Cassiar Highway north of Dease Lake was gravel for numerous kilometres until the fall of September 2009. It is now paved. It was a relief to know the days of mud and slime on the truck are over! However, in spring there are now numerous potholes and pavement breaks requiring repair. We enjoy the drive through this area. 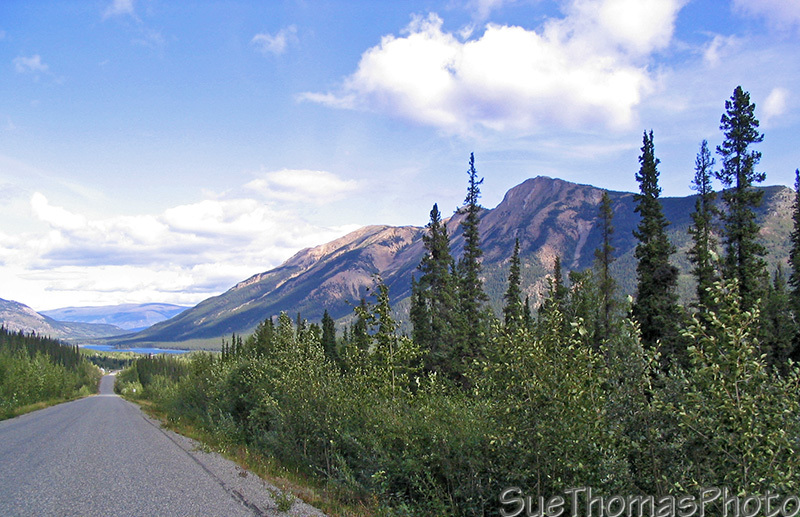 It is scenic and wildlife abundant. Also numerous spots to pull of the road to enjoy lunch. Mountain goats have graced the scenery near Good Hope. Had a herd of about 20 in the way during one trip, which required inching along through them as they weren't willing to move. Not quite as intimidating as shuffling through the herds of bison near Liard Hot Springs though. 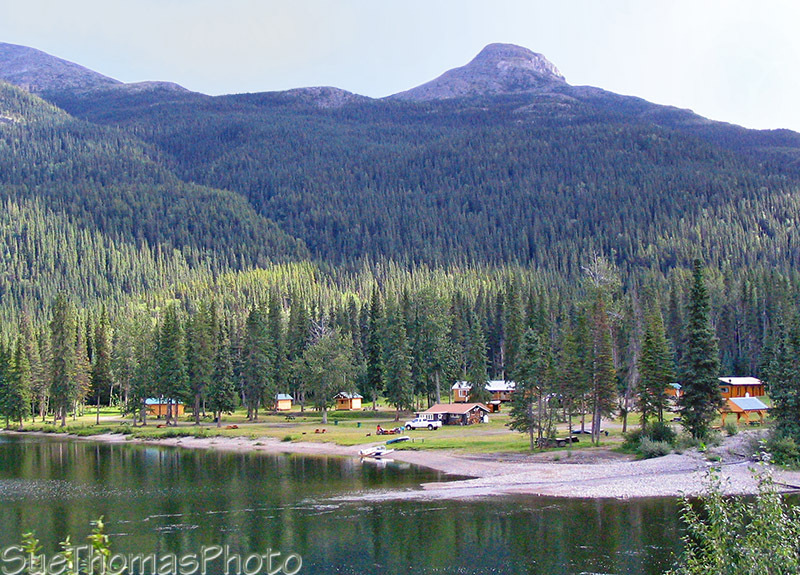 We enjoy staying at Boya Lake Provincial Park (link to BC Parks) and have stayed during three different seasons. The lake is unique and always lovely, regardless of season or weather. In 2009 we explored the lake with kayaks. It is much larger than it appears from the campground and has numerous islands. I had the GPS so no chance of getting lost; however, another couple were thoroughly lost in a rented canoe and asked us for directions back to the campground! Visit Google Maps here to see the layout of the lake. 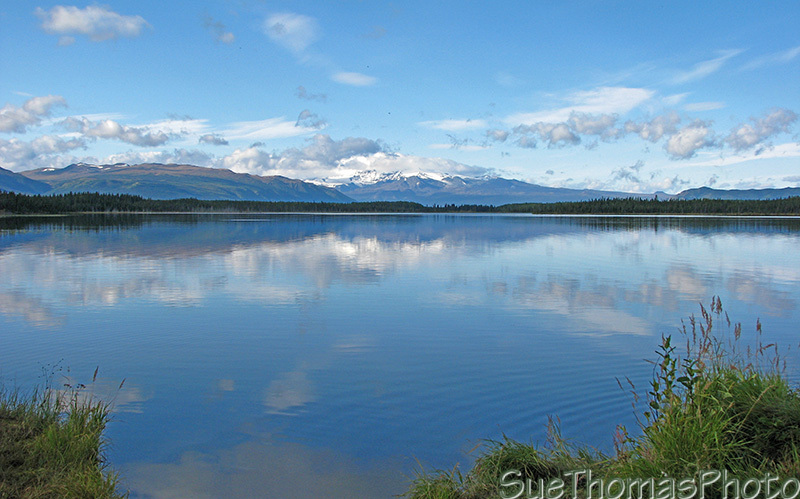 The white lake bottom reflects the light through the crystal clear waters and it is easy to see fish swimming along, although they generally are not too interested in fishing lines. Visit my page dedicated to this special park. 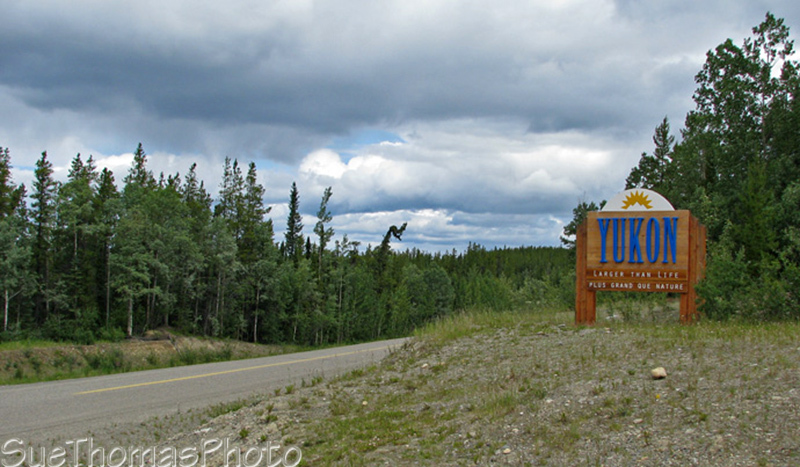 There is a stretch of about 30 km on the north end of the Cassiar where forest fires burned during the summer of 2010. 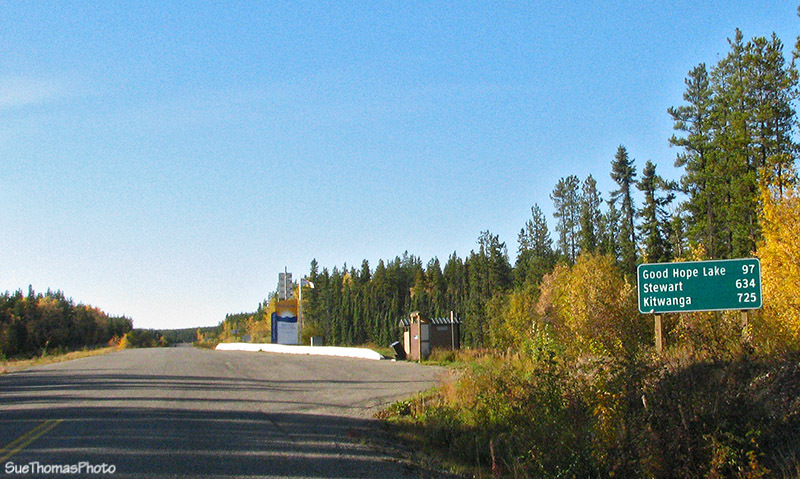 The highway was closed for several weeks. Then for a period vehicles were caravanned through. In September it opened without restriction. When we drove through mid-September the ground was still smoldering in spots. 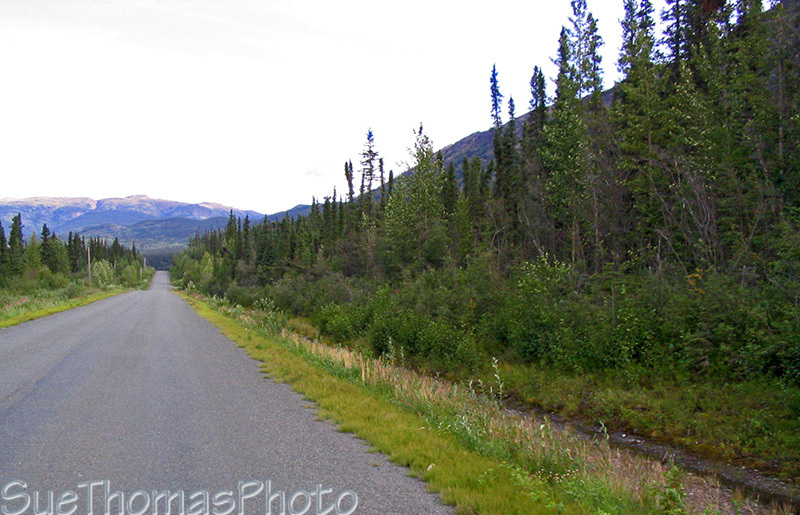 The very north end of the Cassiar has been improved in recent years. Even so, it is narrow and there are rough spots. Take your time. Enjoy the sights. 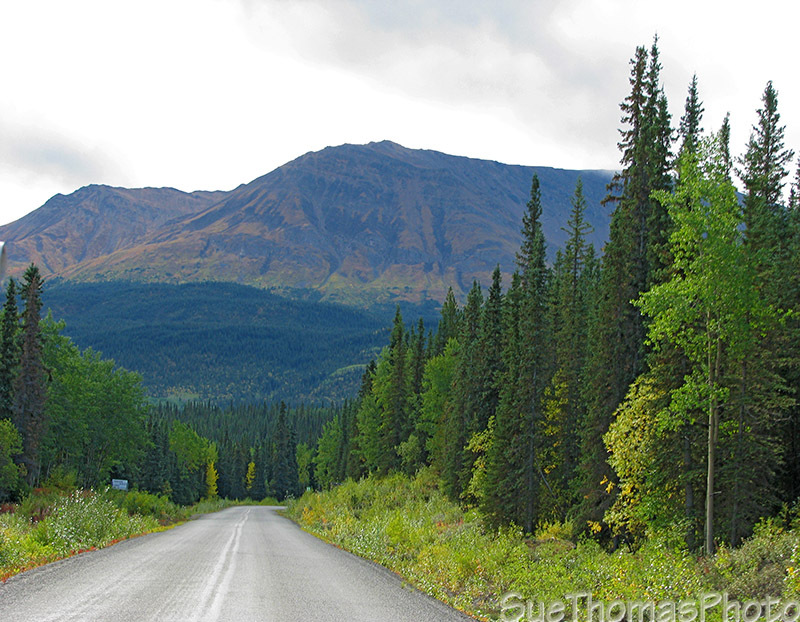 If you are northbound, the busy Alaska Highway is too near. 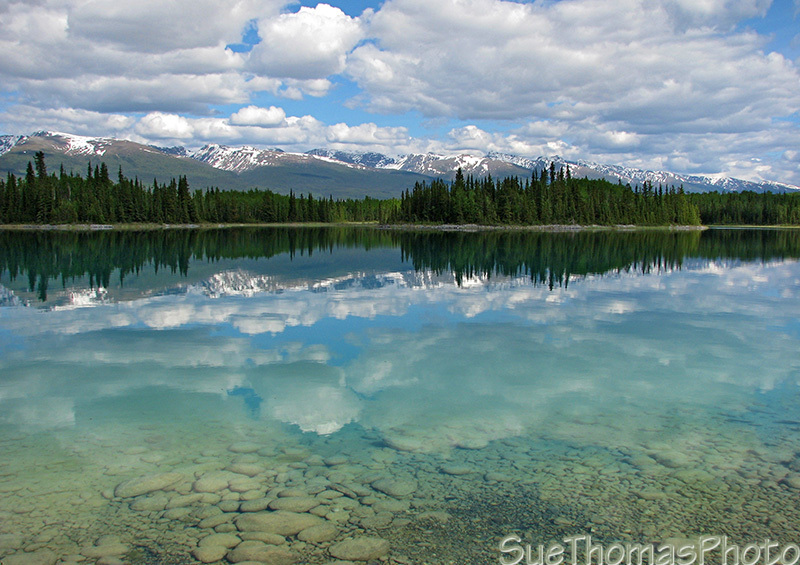 The solitude and silence of the Cassiar will soon be left behind. 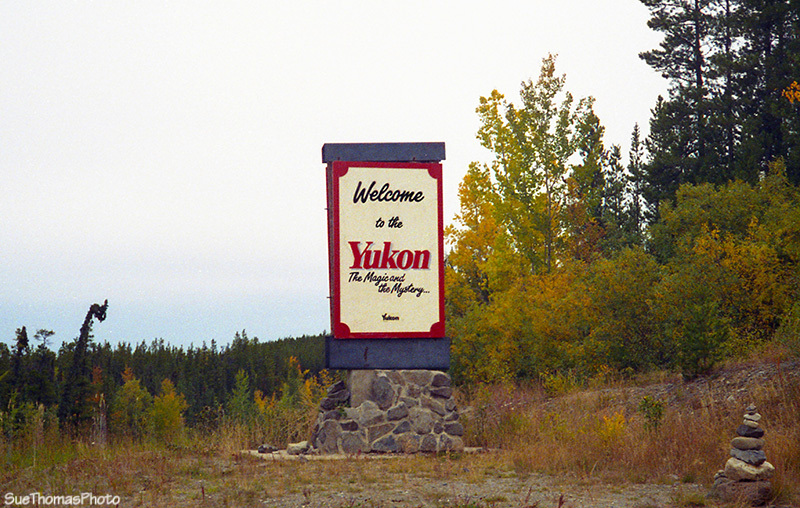 The Alaska Highway is a very short drive from the border, about 3 km. 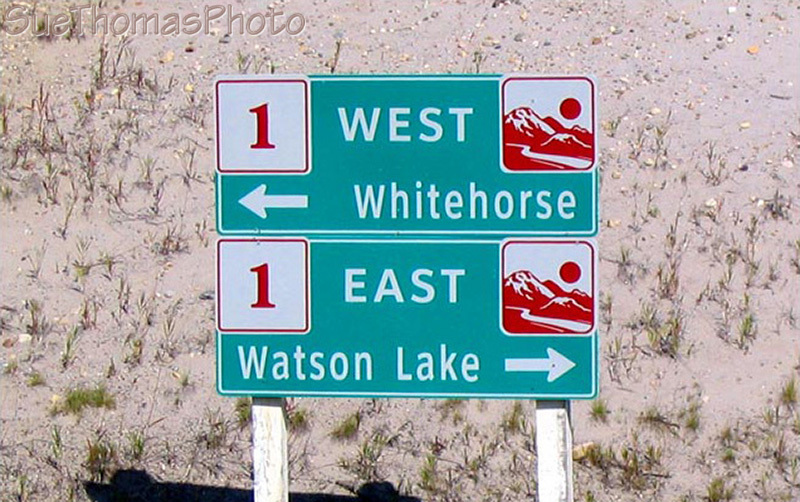 Now on to the Alaska Highway, northbound to Whitehorse.